Sized just right for the little ones, the Peppa Pig Bean Bag Chair will steal the attention at the next playdate. Your child will enjoy hanging out with friends while sitting in the sofa bean bag. These fun and functional bean bag chairs are easy to maintain by spot cleaning making it 100 percent mom approved. 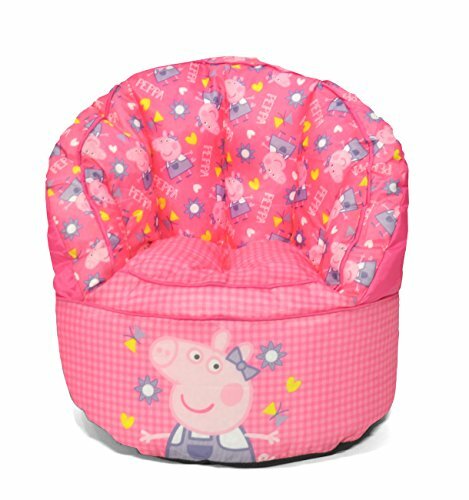 The Peppa Pig Bean chair would look great in any room and it is light weight for easy travel. Sized just right for the little ones at 18" x 18" x 18"